Trailfinders - a made-to-order travel company with 26 travel centers located throughout the United Kingdom, Ireland and Australia - upgraded to state-of-the art Jabra PRO ™ 9460 DUO headsets to maximize call quality, and agent mobility and productivity. Specialists in offering quality tailor made travel itineraries, Trailfinders focuses on helping travelers maximize both their budgets and their time abroad by delivering unbeatable value and exceptional customer service. The Trailfinders Travel Center in Birmingham acts as a hub for customer service for the travel company, with a team of 38 agents who take calls regarding bookings, destination requests and support. The agents also regularly service the public who come into the center for travel advice. The Birmingham Trailfinders team had been using the Jabra GN9350 headsets successfully since 2003, but wanted to upgrade to state-of-the art headsets to maximize call quality, and agent mobility and productivity. Due to the success of the Jabra corded headsets, Trailfinders was eager to continue with the brand and take advantage of its latest technology. Trailfinders chose to deploy the Jabra PRO™ 9460 DUO, a wireless, dual-ear headset incorporating noise cancelling with 2 microphones for a richer and more natural audio experience. The headset can be easily controlled via its accompanying touch screen, which can be used to start or end calls, adjust the volume, or switch between desk and soft phones. The 38 agents in the Birmingham Travel Center received the Jabra PRO™ 9460 DUO headsets in July 2010. The installation took just 5 hours, with the Jabra team working around the agents so their work was not disrupted. The benefits of the new Jabra headsets were immediate. 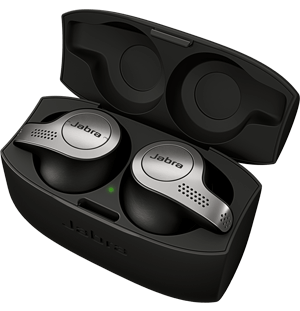 A key objective in upgrading the Jabra headsets was to give agents more freedom to move when on calls. 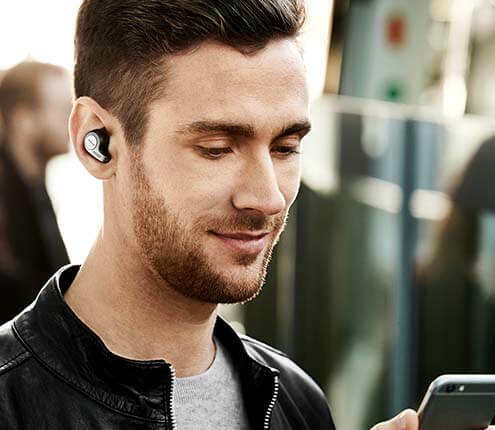 Using the wireless Jabra PRO™ 9460 DUOs, agents can easily walk around the office and access literature and travel brochures while they are speaking to customers, so they don’t have to place them on hold or call them back. Williams comments: “The new wireless Jabra headsets have significantly increased our team’s ability to multi-task and improve productivity. My team can now take more calls and solve customer queries quickly and effectively, the first time.” As the Travel Center is a public-facing office, the new wireless headsets now allow agents to welcome members of the public and leave their desks without the risk of missing customer calls. The Jabra PRO™ 9460 DUO headsets ensure high sound quality for every call, combating the challenging open plan office environment, with high levels of background noise. The dual-ear headset ensures the Trailfinders team can fully focus on calls, providing clear, crisp sound for both the caller and the agent. With noise cancelling technology and advanced Digital Signal Processing, background noise is practically eliminated so that agents can clearly communicate with customers. Williams explains: “Our open plan office has high ceilings and lots of glass and metal furnishings, so background noise and echoes were a problem for agents when on calls. Using the Jabra PRO™ 9460 DUO headsets, agents can clearly hear their customers and the noise cancelling is exceptional. Trailfinders is a made-to-order travel company, founded in 1970, that provides tailored travel programs for its customers. Trailfinders has 26 travel centers located throughout the UK, Ireland and Australia.